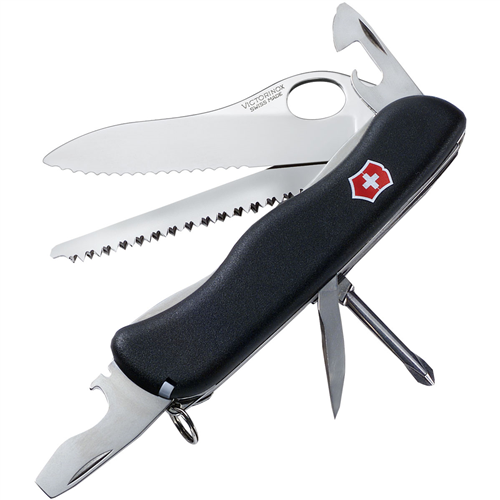 Visit Victorinox Swiss Army's SwissCard Lite page. 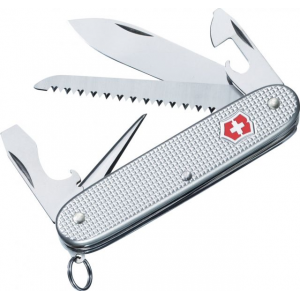 Victorinox Camp & Hike Farmer Swiss Army Knife w/Bottle Opener Silver Alox Ribbed 53964. 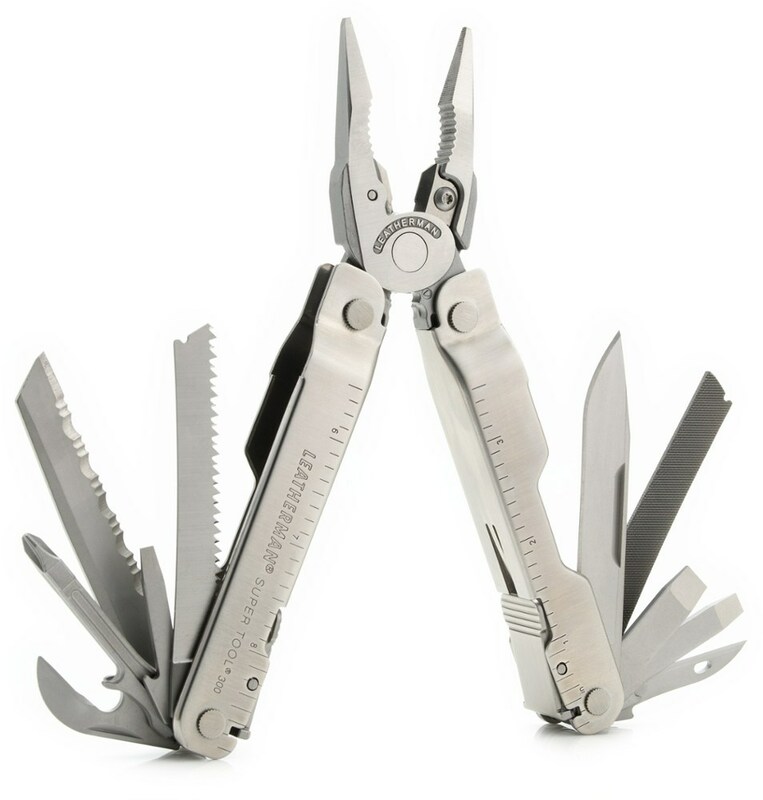 Like all Swiss Army Knives the Farmer carries a lifetime warranty stainless steel implements and unsurpassed Swiss-made quality and durability. When life gives you crappy rotten lemons, pull out the Victorinox SwissCard Lite and bail yourself out of a predicament. 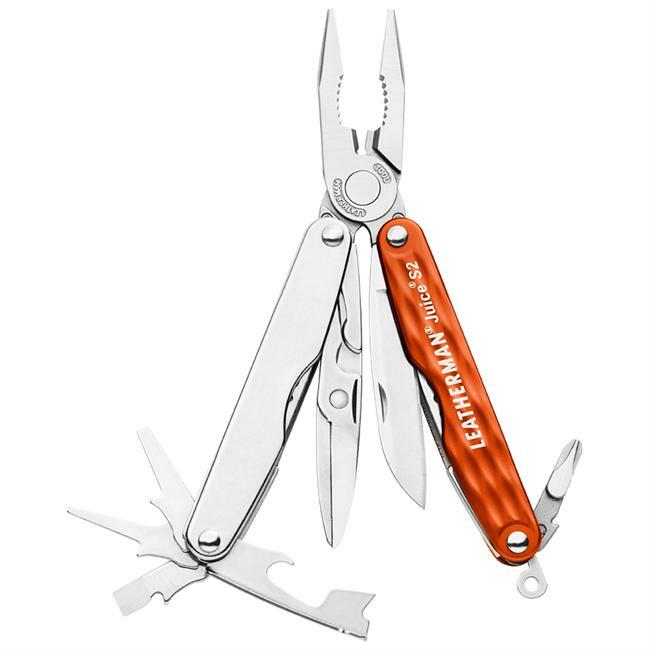 This credit card-sized multi-tool has 13 gadgets including multiple screwdrivers, a small letter-opener blade, tweezers, a ballpoint pen, and a ruler, and it fits into your wallet so it's always handy. The Swiss Army Swisscard Lite tool card features an LED light and magnifying glass along with a useful assortment of tools. 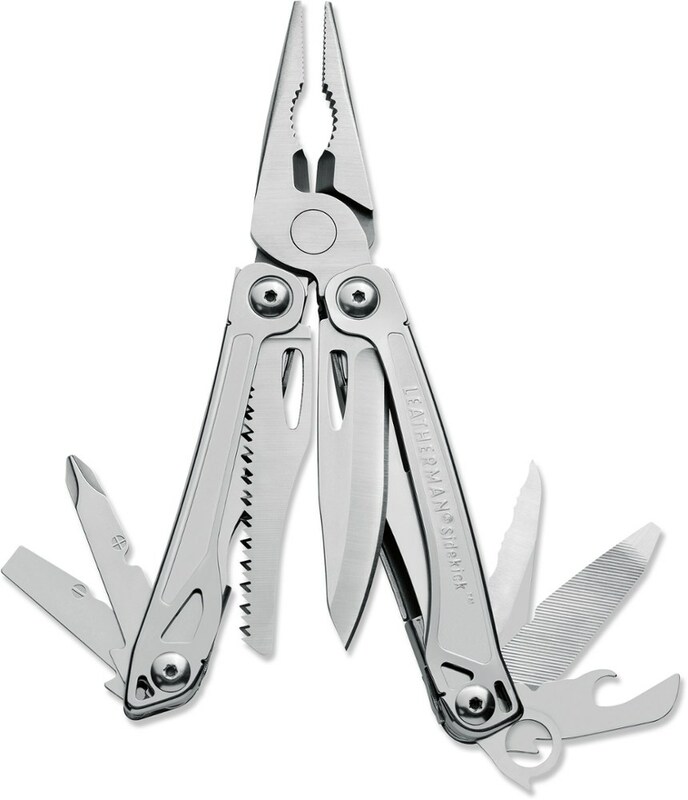 The size of a credit card, this little tool chest slips easily into your wallet, bag or pack. Built-in LED mini light provides enough light to find your keys or perform simple tasks; light turns on and off with a switch so you don't have to squeeze it the entire time. 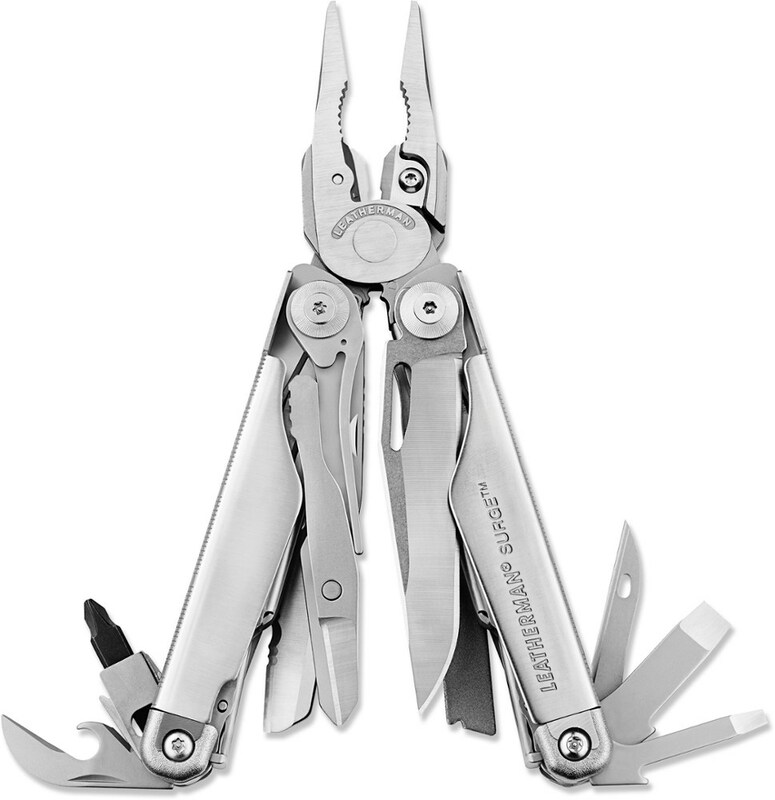 Includes a ball point pen, scissors, letter opener/blade, straight pin, tweezers, 2 standard screwdrivers, 2 Philips screwdrivers and a ruler. 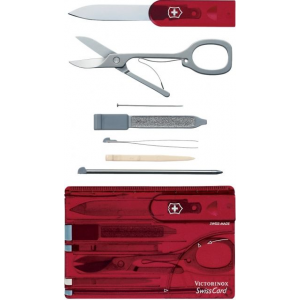 Swiss Army Swisscard Lite tool card features an attractive translucent color that shows off its inner craftsmanship.